Sunset Beach is taking a beating this winter season. The public is being asked to stay away from a section where a bike path has been taken out by the waves resulting in a 20 foot drop along the roadway. Hawaii is known for beautiful beaches, but many around the state are disappearing. That includes Hawaii’s most famous beach, Waikiki, which attracts millions of visitors each year and billions of dollars for the local economy. Many other beaches around Hawaii are also threatened. 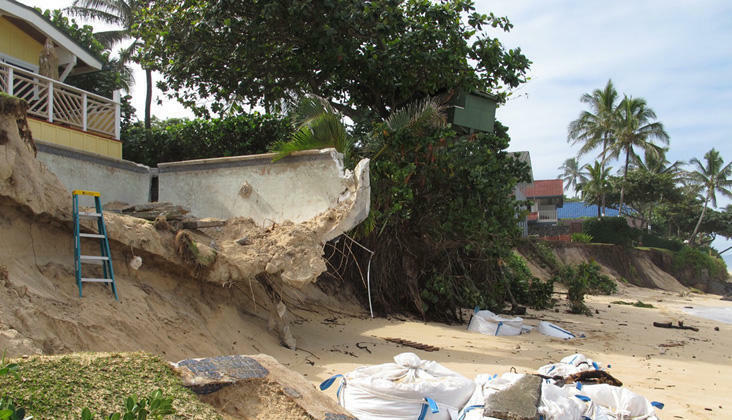 Today's panel examines the problem of coastal erosion in Hawaii and what, if anything, can be done to solve it.